Get your fix of delicious orange soft-serve any time you want. Perry and Annie Lee Hayes founded Nokomis Groves back in 1948, growing and shipping citrus across the country. 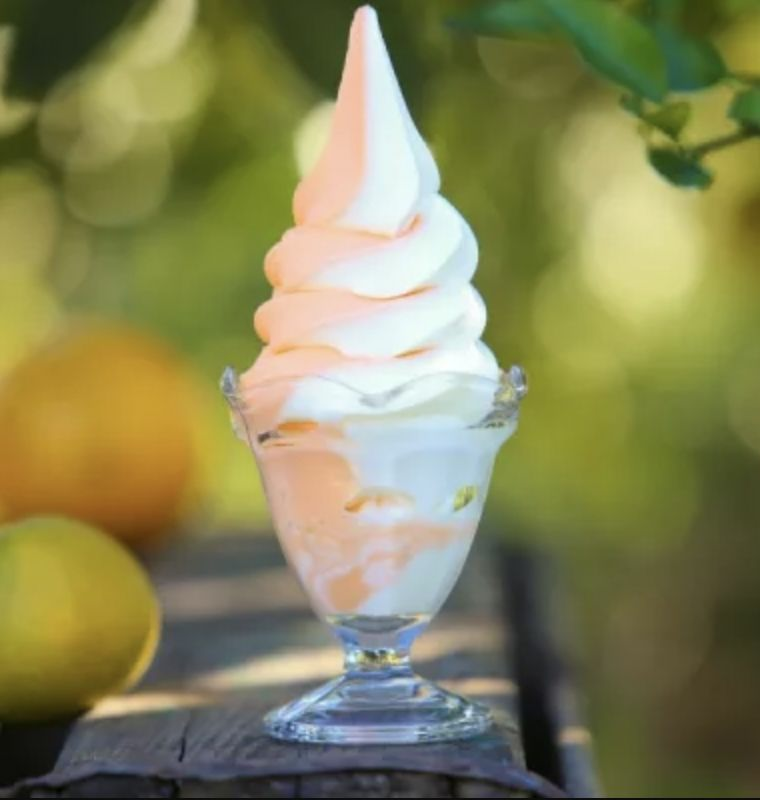 But locals and tourists often visit the groves not only to pick up some citrus but to savor its orange ice cream, made from fresh Florida oranges. You can order it straight, but we can’t resist the orange-vanilla combo: a towering swirl of bright, creamy vanilla and orange soft-serve. Order at the green-painted window—cash only!—and then enjoy your sweet treat on the patio. Best of all: The ice cream shop is open year-round, seven days a week, so you can get your fix any time you want.